Do you love the game show Family Feud? If yes, then come on out and experience our outrageous twist based on this awesome game show. You will play on several teams throughout the night allowing you to expand your social circle. The full rules will be explained at the event, however, here are a few details. We will have 4-6 teams with about 5 people per team. Work with your team mates to come up with the number 1 answer for the survey question. If your team gets the high score for the round, you each win a raffle ticket for a chance to win some fun prizes. We will have several questions and several rounds of play. Don't worry, the majority of attendees come solo. You do NOT have to come with your own team as part of the fun is meeting new people and making new friends. We will put you on a team with others. 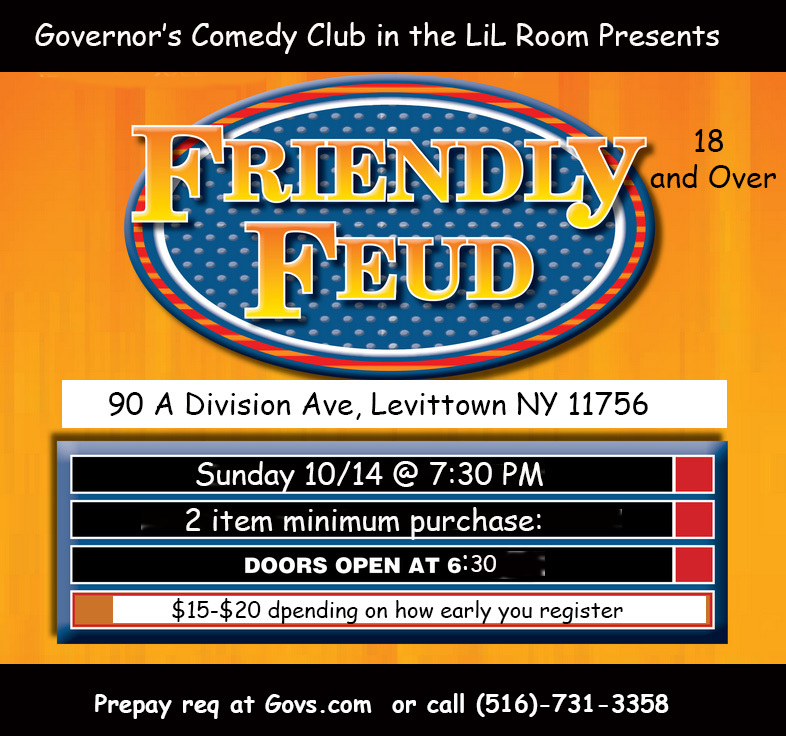 This event is open to all Family Feud fans. This is not trivia since the emphasis is trying to guess the top survey answers rather than knowledge about a specific topic.